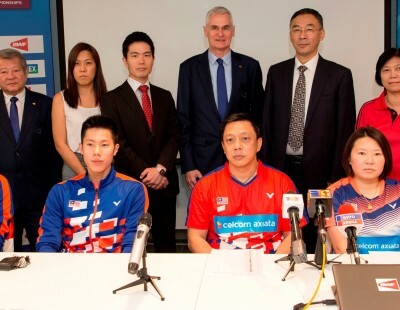 Dangling two points from a second-round defeat, Ratchanok Intanon pulled her medal ambitions back from the precipice today at the TOTAL BWF World Championships 2018 in Nanjing, China. Perilously poised at 16-19 down versus a rampant Mia Blichfeldt in the second game, and having just injured her ankle lunging towards the net, the Thai star seemed rejuvenated by the ‘magic spray’ applied to her tweaked right foot. 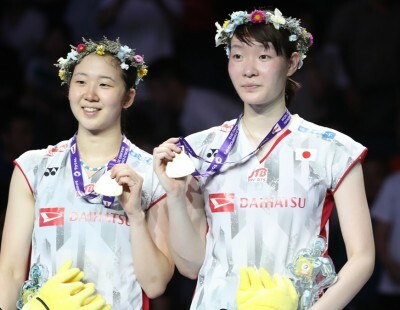 Adopting a take-no-prisoners attitude, Intanon reeled off a series of sizzling strokes that stunned her rival and psychologically yanked the match from Blichfeldt as they crossed sides for the decider. What was about to unfold was a no-brainer – and the No.4 Women’s Singles seed duly hit her stride, racing to a 10-1 lead as the lanky Dane’s challenge wilted amid her preoccupation with what might have been. 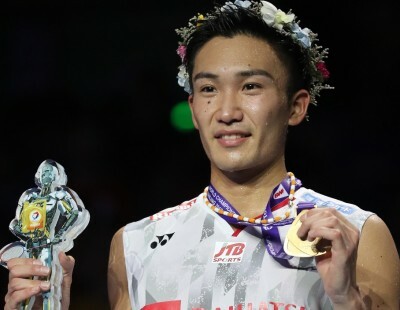 By contrast, 23-year-old Intanon – the only player to have beaten title favourite Tai Tzu Ying this season – was thankful to squeeze into the third round, having had a bye in the first. “I didn’t play well today but I kept calm and tried to come back. I felt I had nothing to lose and, after I hurt my ankle, I wasn’t sure if I could continue. I just tried not to think too much but to continue fighting. 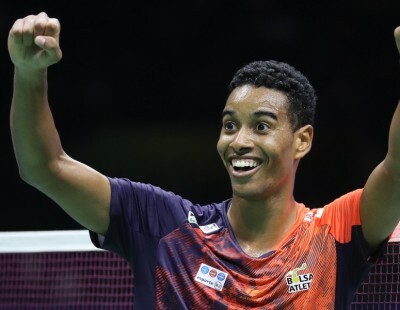 I felt lucky to get into the third game and I was determined to control the match from there,” said the player who lifted the World title at age 18 in 2013. 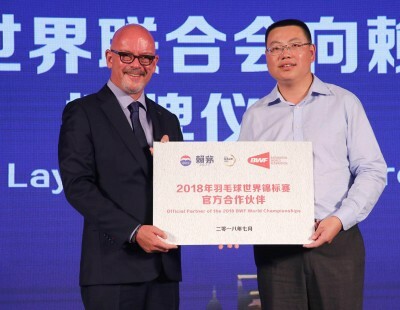 It was nearly lights out for Beiwen Zhang also but the USA player – a native of Anshan in Liaoning province – got some vital support from fellow Chinese, watching in the stands, as she struggled to combat the power and aggression of Chloe Birch. The Englishwoman was off to a flyer and strengthened her advantage from 12-5 to take the first game. She looked on track to do likewise in the second but, from 8-12 down, Zhang started to fight back while Birch increasingly sent the shuttle wide. At 16-16, Zhang pulled ahead to ensure a third game in which she stayed in front throughout, her trademark fluid, easy movement replacing the stiff tension that haunted her strokes in the early going. “She had so much power and was so fast. I was surprised. 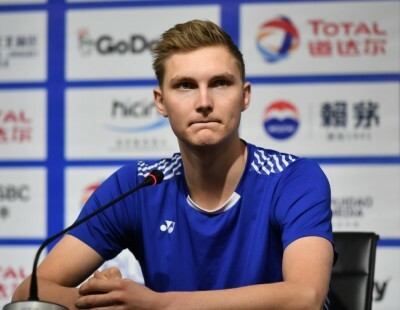 I was trying to speed up but I could not get control so I had to change my strategy and attack more,” said the No.12 seed after winning 13-21 21-18 21-15. 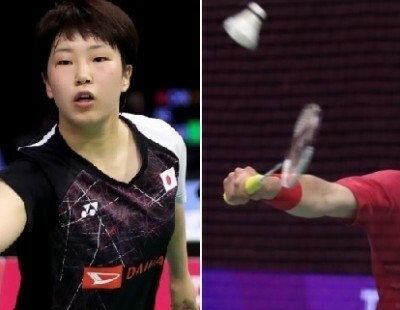 It was later confirmed that Zhang, 28, will face Chinese Taipei’s top seed, Tai Tzu Ying, in the third round; an encounter in which the China-born contender vows to give her all. “I am happy to play against the best and I will give everything. I hope I don’t play like today,” quipped a smiling Zhang. 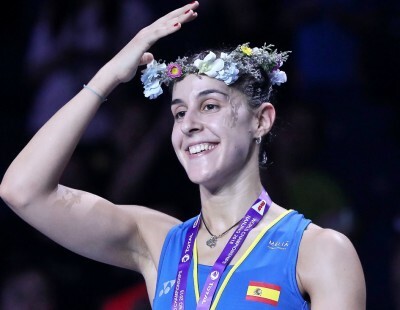 Meanwhile, No.10 seed Saina Nehwal booked her place across the net from Intanon with a comfortable 21-17 21-8 victory over Turkey’s Aliye Demirbag while Sayaka Sato of Japan also eased through – 21-15 21-11 versus Malaysia’s Soniia Cheah. However, the No.13 seeding proved unlucky for Michelle Li as the Canadian fell to Nguyen Thuy Linh of Vietnam, 21-23 21-12 23-21. 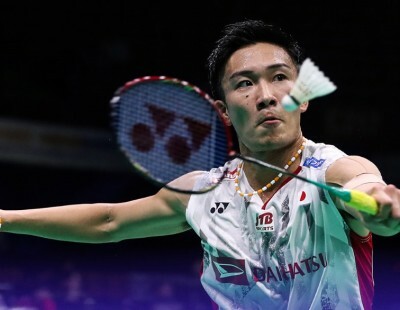 In Men’s Singles, Japanese top gun Kento Momota cruised past Ukraine’s Artem Pochtarov (21-13 21-12) and declared himself fully fit and ready for the battle ahead. India’s Kidambi Srikanth, who looked smooth in dispatching Ireland’s Nhat Nguyen (21-15 21-16), preferred to duck the spotlight but was happy with his first outing and is looking forward to tackling Spain’s Pablo Abian for a third-round berth. 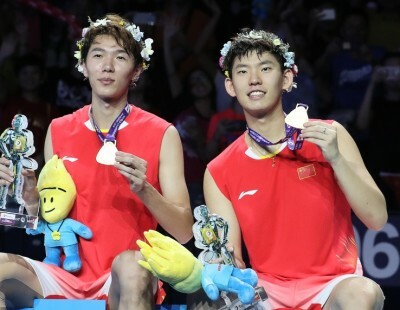 Others progressing in the category included Austria’s Luka Wraber; Wang Tzu Wei of Chinese Taipei; Anthony Ginting of Indonesia and Denmark’s Anders Antonsen who benefited from a walkover by Thailand’s Tanongsak Saensomboonsuk. 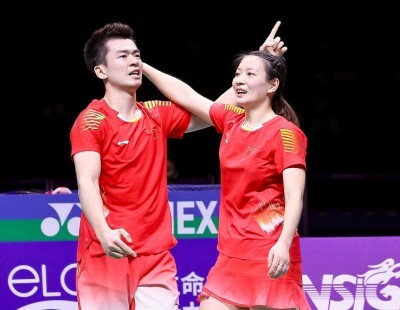 Second-round Mixed Doubles matches augured well for the hosts as China’s top pairs strutted their class. Zheng Siwei/Huang Yaqiong barely broke a sweat against Russia’s Evgenij Dremin/Evgenia Dimova. 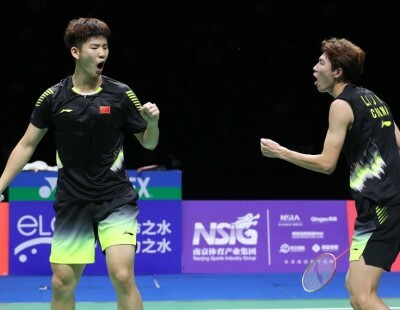 The top seeds breezed by 21-13 21-10 while their second-seeded team-mates, Wang Yilyu/Huang Dongping went the distance to overcome Indonesia’s Ronald Ronald/ Annisa Saufika (21-9 15-21 21-15). However the latter’s compatriots, Hafiz Faizal/Gloria Emanuelle Widjaja advanced 21-16 21-4 versus India’s Pranaav Jerry Chopra/N Sikki Reddy. India were also at the losing end against No.6 seeds, Chris and Gabby Adcock. The English duo beat Rohan Kapoor/Kuhoo Garg (21-12 21-12). 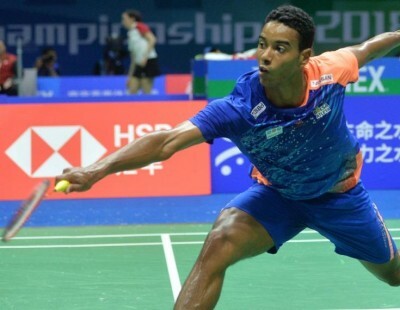 India’s aspirations were kept alive though as Satwiksairaj Rankireddy and Ashwini Ponnappa staged a great comeback to topple No.15 seeds, Mark Lamsfuss/Isabel Herttrich. Pulling clear of their German rivals at 9-9 in the decider, the Indians prevailed 10-21 21-17 21-18. “We didn’t play the steadiest game but we got more aggressive and moved faster towards the end,” said a delighted Ponnappa. 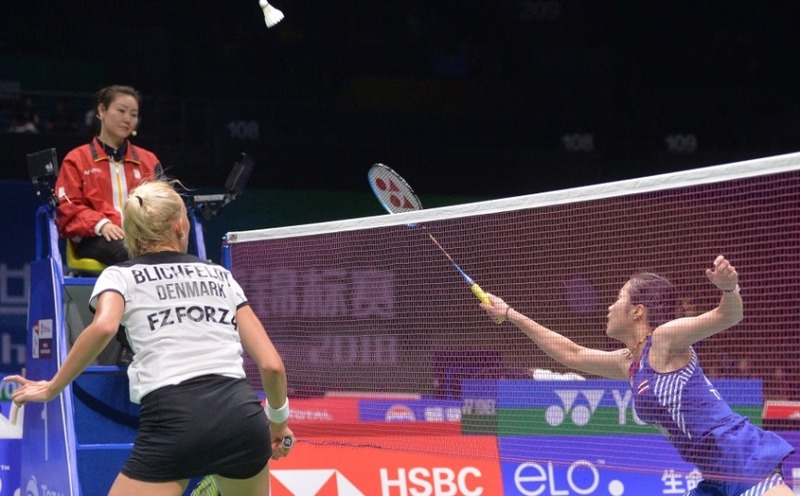 There was disappointment for Hong Kong as their 2017 bronze medallists, Lee Chun Hei/Chau Hoi Wah retired against No.4 seeds Mathias Christiansen and Christinna Pedersen, with the Danes leading 20-11 in the first game. 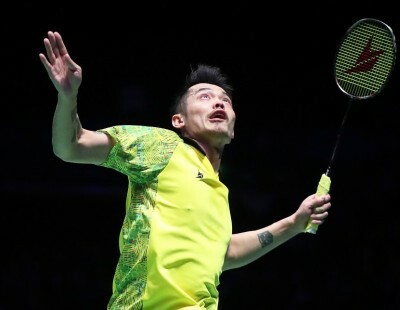 Men’s Doubles saw first-round wins for He Jiting/Tan Qiang (China), Jones Ralfy Jansen/Josche Zurwonne (Germany), Or Chin Chung/Tang Chun Man (Hong Kong) and Malaysian pairs Aaron Chia/Soh Wooi Yik and Ong Yew Sin/Teo Ee Yi. Lise Jaques/Flore Vandenhoucke (Belgium), Johanna Goliszewski/Lara Kaepplein (Germany)Debora Jille/Imke van der Aar (Netherlands) were among the pairs progressing to the Women’s Doubles second round.